Summer is in full swing and our Schools team have just finished their last assembly tour of the school year! They visited many different local schools in Brighton and Hove to present their changes assembly. They encouraged the children to think about the fact that the decisions they will be making as they face change can have an impact on their future. The team had a fun time as they then allowed the children to make decisions by voting. Lloyd ended up with a cupcake squashed in his face, while Nairne and Kerry had to wear a colourful hat and were given red rosy cheeks, however strangely the children voted against having more homework! Sometimes the decisions we make or the things we face in our life are not so great, however the team shared with the children that they are all loved by God regardless of what they look like, where they come from, and what’s happened to them. The team demonstrated this by using a £20 note, as it can be crumpled up, lost, or dropped, but it’s still worth the same. 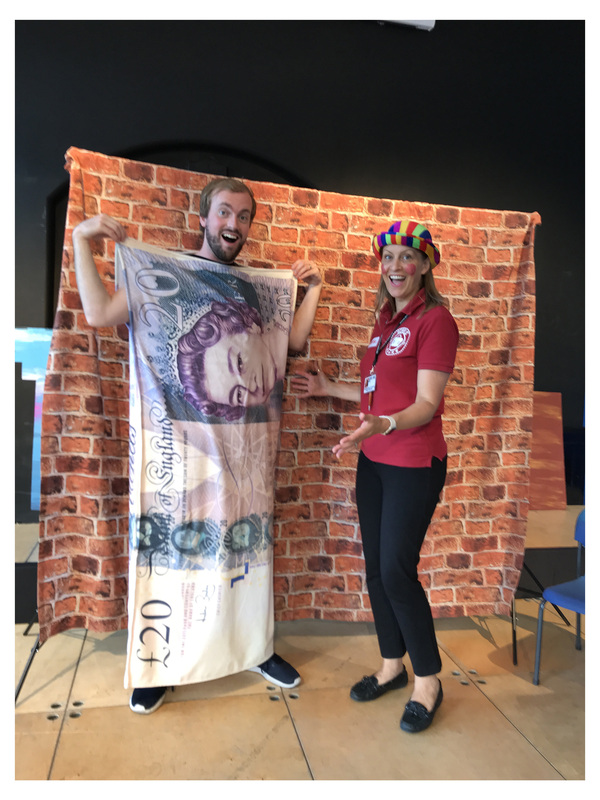 The children had such fun seeing Lloyd in his comical life size bank note outfit!